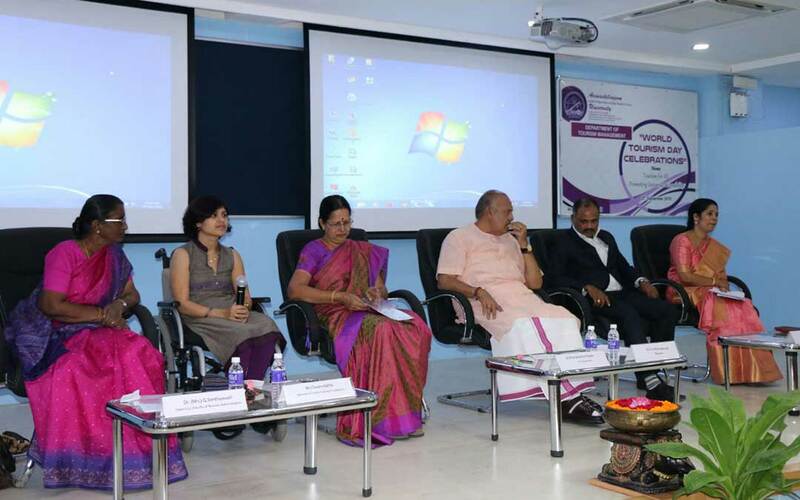 Avinashilingam University today celebrated World Tourism day at their college premise, under the theme 'Tourism for all' in the intent of promoting universal accessibility. 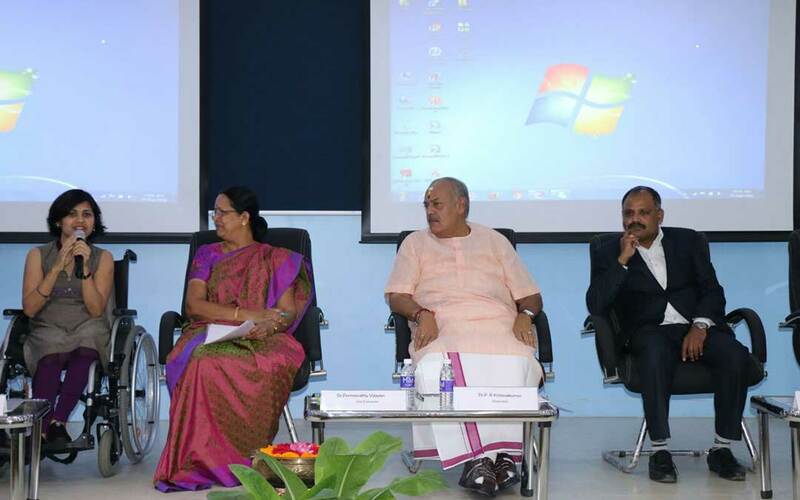 Dr.P.Krishnakumar Chancellor of the University, Mrs.J.Swarnalatha Managing Trustee, Swarga Foundation Coimbatore, Mr. Ramakrishna Reddy, General Manager, Spice jet Chennai, Dr.Premavathy Vijayan, Vice Chancellor of the University,Dean(i/c) Dr.G.Santhiyavalli, Dr.Bindu V.T.Head of Department of Tourism Management were the dignitaries for the event. Dr.Krishnakumar Chancellor of the University in his welcome address emphasised that, tourism is the largest revenue generating industry globally. He shared that when compared to other places tourists lack facilities in our country but this responsibility not only vests with the Government, it's also our responsibility. Everyone of us should contribute to make India, a friendly place for global tourists, as our nation believes in 'Athiti Devo Bhava'. He also encouraged the students to take up the task of bringing and suggesting needful changes that needs to be done in our country, by visiting airports, railway stations of various places. He also shared his experience of visiting various places across the world and the tourist friendly facilities available at those places. Mrs. Swarnalatha, Managing Trustee of Swarga Foundation, who is high on confidence inspite of suffering from a disability from her young age. She shared with the listeners, a different perspective of tourism from a disabled persons point of view. She stated that our country lacks the facility for differently abled people who wish to visit many places, like me. Many stations, places and hotels in India lack the basic amenities to cater to the needs of physically challenged people. To the contrary, in counties like Singapore and Malaysia the country pampers the physically challenged by providing them with ramps, elevators, friendly toilets etc. She asserted that physical disabilities doentot abstain one from being successful and she cited her own life as an example for others. She requested that whenever people design, they should keep in mind about the requirements of differently abled people too, as they form a large part of the population. She also revealed that on 1st October, their organization is planning to launch a special vehicle for differently abled and senior citizens. The keynote address for the session was delivered by Mr.Ramakrishna Reddy, General Manager of Spice jet Chennai who briefed up on the current aviation industry. Apart from the keynote sessions, greeting card making contests, drawing and colouring competition were hosted for differently abled kids from various schools, across the city. The winners will be awarded with prizes at the Valedictory function, at the end of the day. Students, faculty members of all departments were present during the session.